Just Julie B's Stampin' Space: Stepper Box & Card Gift Set! This delightful box is called either a Stepper Box or a Fantasy Box. No matter what you call it, though, it is a fun way to package a variety of small items, including jewelry, chocolates, or other small trinkets. 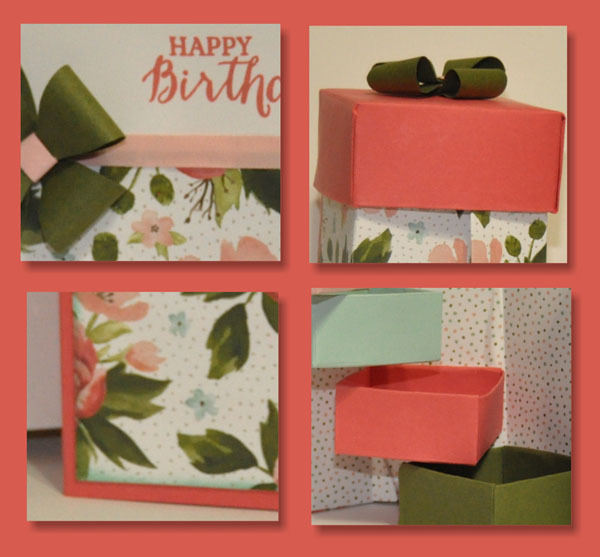 This project features the lovely Birthday Bouquet Designer Series Paper and includes a matching card. It can be used for many different occasions including birthdays, Mother’s Day, and more. Once you learn how to make this box, you’ll want to make it for every occasion simply by changing the Designer Series Paper! Great for clubs, classes, or crafting with a friend. This super cute project was made by Yapha Mason, and you can get her tutorial when you subscribe to the month of May over at Craft Project Central.